Here’s something clever for people who work a lot with power tools, this device lets you use the batteries from your power tools to charge you phone or any USB device. It’s called the PoweriSite. 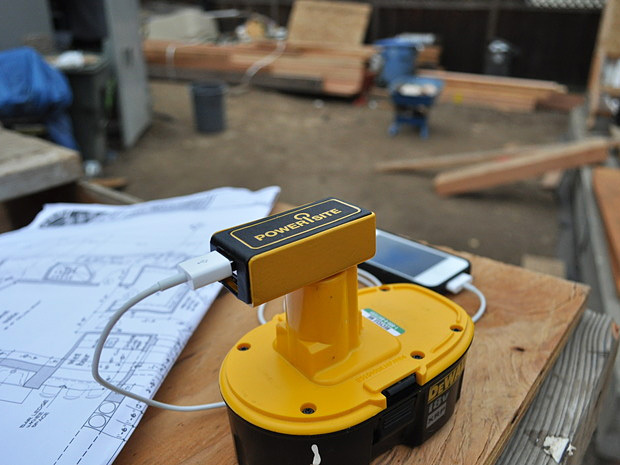 Just Plug it into the batteries that power your power tools, and plug a USB charger right into it. Easy as that. It’s compatible with a whole range of DeWalt tool batteries, from 12V up to the big 18V models. It’s $18 on pre-order with delivery later this year. You can get it here.